Sal De Forte's Ristorante in Ewing (1400 Parkway Ave., 609-406-0123) has a gluten-free menu that includes linguini, grilled chicken parmigiana and grilled eggplant. rollentini. Other dishes can be modified accordingly. Seventeen Pizza Hut locations in South Jersey are among the first to offer gluten-free pizza. Unfortunately, southeastern Pennsylvania and Delaware are not part of the first phase but likely will be added in the near future. You can read my review and check out the full list of participating stores here. 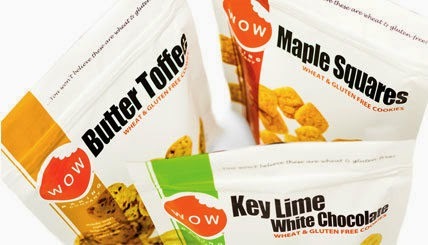 One of my favorite gluten-free cookie brands, WOW Baking, has introduced three new soft cookie flavors: Maple Squares, Key Lime White Chocolate and Butter Toffee. I spotted these at the Target store in Voorhees, New Jersey on sale for $2.99. Trader Joe's now has its own version of chewy cookies sold in the Bakery section. Their soft Chocolate Chocolate Chip Cookies retail for $3.99. 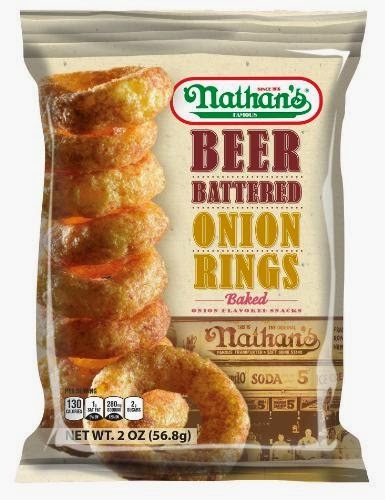 The new snack-food version of Nathan's Famous Beer Battered Onion Rings are gluten free. The new baked onion snack is available in convenience and grocery stores nationwide in 2 and 3.5-ounce bags with a suggested retail price of $1.99 - $2.49 per package. Dinner rolls are the newest Gluten Free Bakehouse item from Whole Foods. They're sold frozen and can be heated in the microwave for 15 seconds. The rolls are made with Manini's Ancient Grains flour. You'll find a $1-off coupon in the current Whole Deals circular. Chabad Lubavitch of Bucks County is sponsoring a gluten-free challah bake event on Thursday, Feb. 5 at 7 p.m. The cost is $18. With the Gluten Free Philly app for iOS and Android devices - featured recently on KYW 1060-AM - find more than 1,400 area gluten-free-friendly businesses on the go, search by cuisine or neighborhood, make reservations and more!